Due to ongoing renovations at the HDB office, it was confusing for us to figure out where to go and what to do during key collection. I referred to a post by Nadnut (who happens to be my neighbour!) and still needed to ask around for directions. I’m writing this down for anyone who will be collecting keys in the near future. You’re welcome! The very informative faqs about HPS can be found here. I’m just going to highlight some important points about HPS which we considered. HPS can be payable by CPF if you have enough. We get our CPF monies in the ordinary account wiped out for the purchase of our flat, but I kept a certain sum in investment before that, so if I should need help with paying either the housing instalments or HPS, I can tap on that as emergency fund. You can estimate your HPS premium using the Home Protection Scheme Premium Calculator. The insurer you can sign up with at HDB is eTiQa, the premium & insurance coverage is per what I have noted down below in step 1. I understand from our financial adviser that you can buy enhanced insurance from other insurance companies, so shop before you collect keys. Go to level 2 first when you reach HDB and get a queue number. Normal fire insurance costs $5.50 and insures the structure of your home. 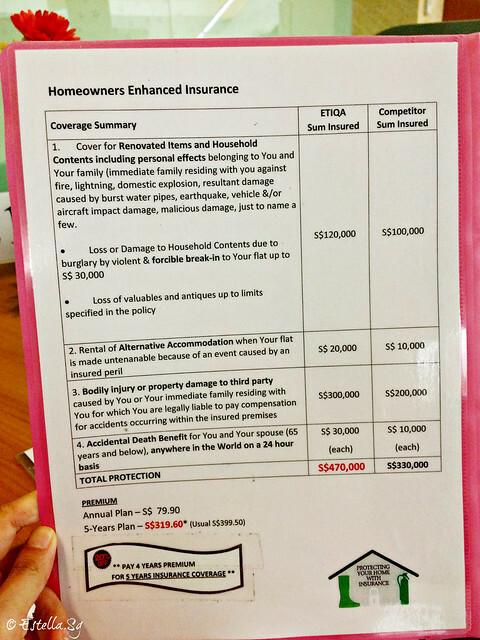 Enhanced fire insurance costs $319.60 and insures the structure of your home + contents. 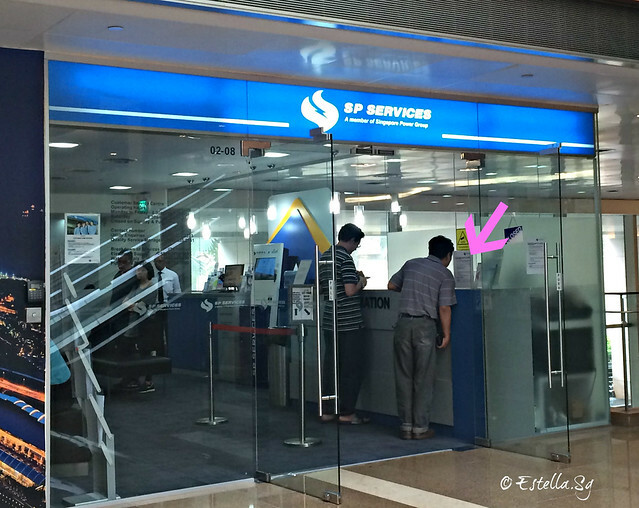 Take a queue number at the counter to the left by the door. No payment required immediately but note that your first month bill will include a $!00 deposit on top of charges for actual water / power used. GIRO arrangement is available but we didn’t sign up for giro on the spot as we wanted to tag it to a new bank account just for household expenses. 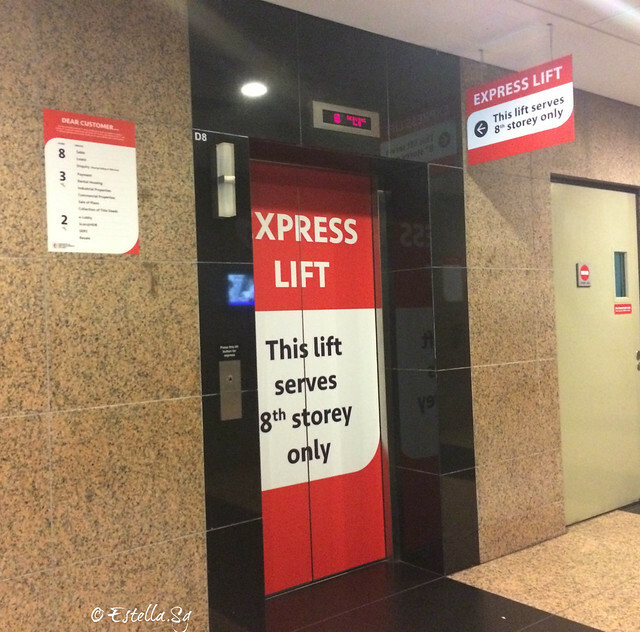 Take the Express Route to HEAVEN Level 8 from this lift and level 1. 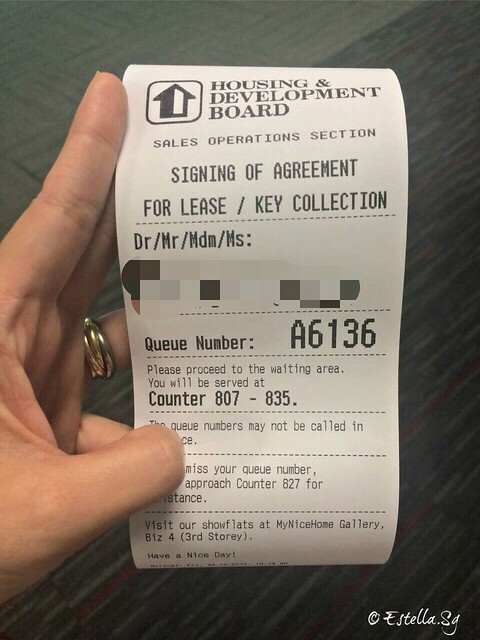 Get a queue number with the automated machine and wait for your turn to sign the lease agreement / buy HPS (if you opt in). 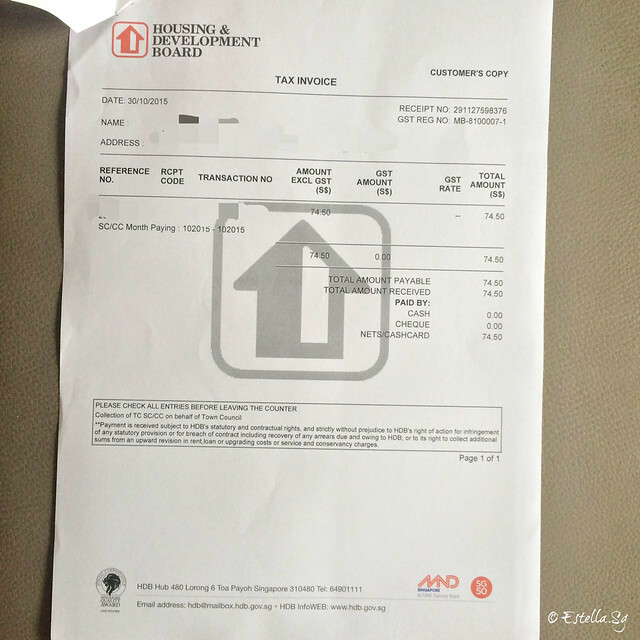 Make payment of conservancy charges at level 3. 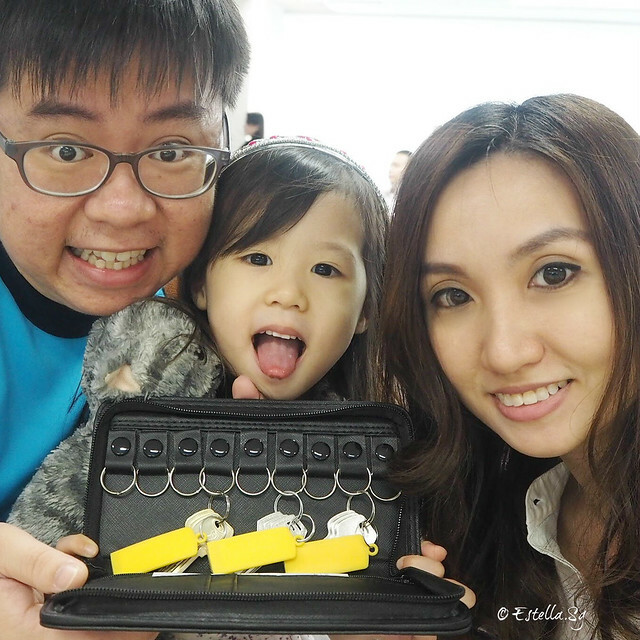 I’m not sure which payment (the fire insurance / the conservancy charges) it was that the HDB officer required us to pay before she would release keys to us, but just know that it’s necessary before key collection. This is us, happy as can be. After a four year wait, we finally have a home! If you’re interested, all posts on this blog relating to home & home design can be found under the “Making it Home” tag!